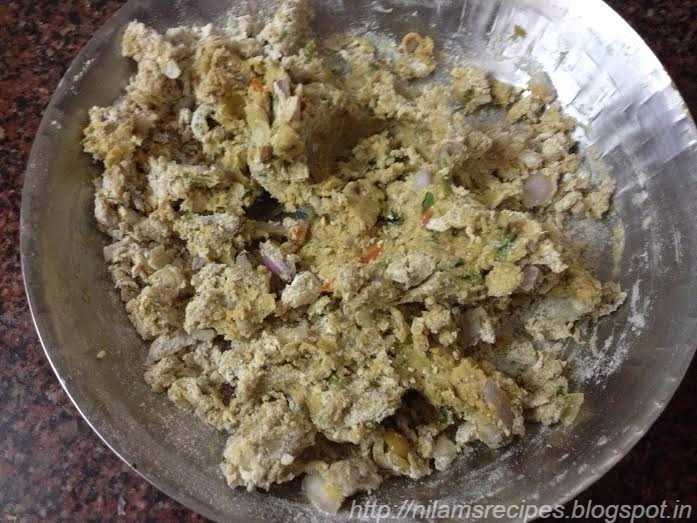 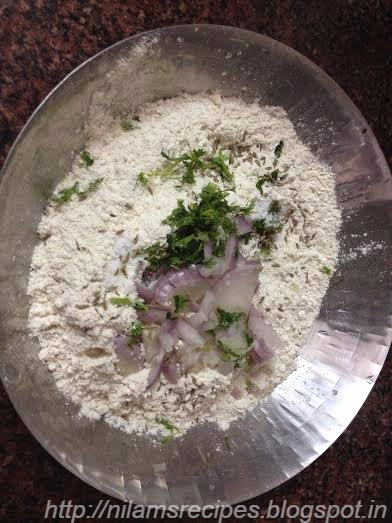 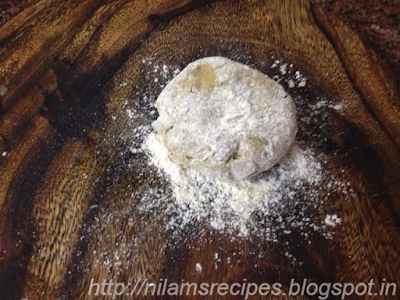 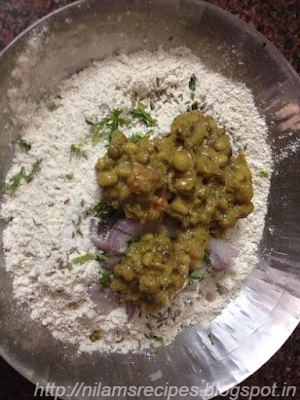 In a mixing bowl add wheat flour, rice flour and gram flour mix it. 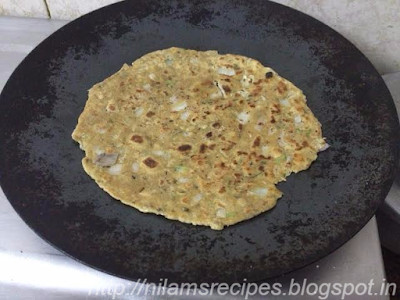 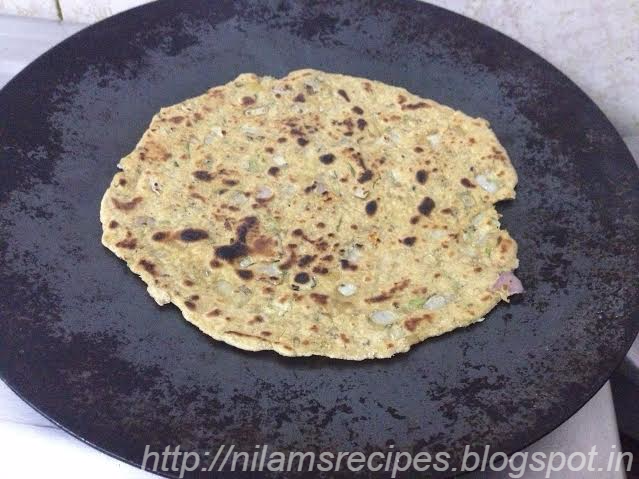 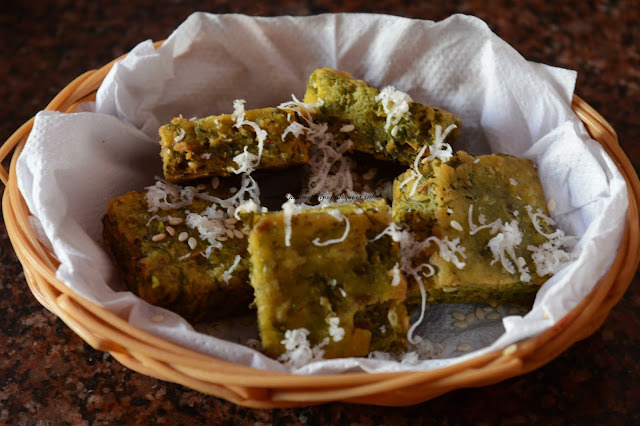 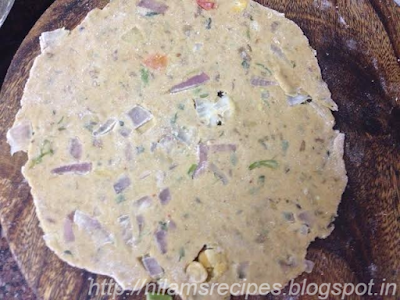 Know add cumin seeds, ajwain, turmeric powder, red chili powder, chopped onion, coriander leaves and usal and knead a soft dough. No need to add water while kneading the dough. 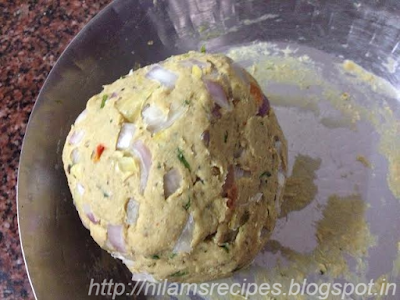 Add little oil and keep aside for 10 minutes. 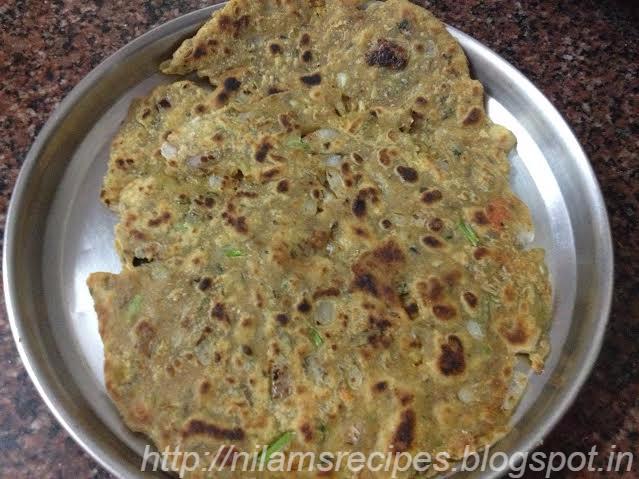 Heat a tava and cook each thalipeeth pour little oil on it. 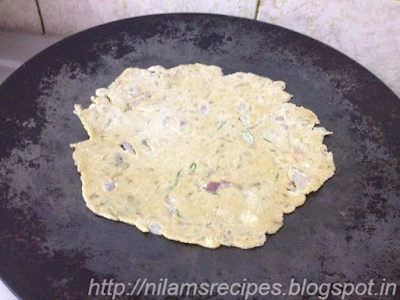 Cook on both sides, till brown spots appear on both the sides.